1. directly by typing the website address: this category includes people who have already had contact with your company and got the link to the site you want to promote from business cards, flyers, posters, catalogs, , salespeople, etc.. In this regard we can help you with website promotion by creating a new brand for your company through logo design, design and print for business cards, flyers, posters, calendars, folders and custom books etc. It's essential to benefit from a professional and proper visual identity of your company before starting a complex process of promotion. Our company can help you in promoting your company website by creating a module that can send personalized newsletter updates, special offers, promotions and new products directly to the email of possible clients and partners. We can also facilitate enrollment in the search engines and web directories with high page-rank. 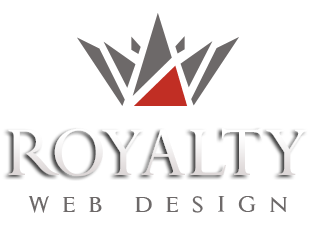 Royalty Web Design offers free consultation to obtain quality links on partner sites (partners in the same field of activity). 3. from the search on the Internet: Most visitors enter your website from the search keywords in the search engines. For this method to be effective, you must have an SEO optimized site. Our company produces onpage SEO optimisation for free to customers who contract a new website and offers free consulting to realize optimization off-page. Web design agency, Royalty ensures top positioning in search engines. Our specialists in web design implement sponsored links systems for your website along with detailed traffic statistics for tracking your visitors.